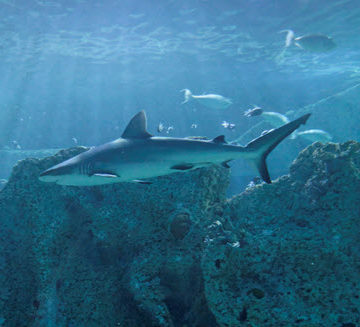 Which infrastructure innovations will swim with the sharks? ASCE’s second annual Innovation Contest has a new format this year, and some of the contest winners will present their innovative ideas to a panel of would-be investors, based on “Shark Tank,” the popular reality television show. The panel of investors is loaded with talented, experienced people well-versed in the process of bringing innovations to market. “My heads-up to everyone is that these will not be pseudo-sharks. They are not mock. They are real sharks,” Buckwalter said. “Each of them controls billions in assets, and they’ve agreed to come and play a role in helping us understand what it takes to get funding for things. 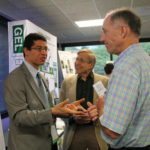 The “shark tank” event is part of three-day celebration of the 2017 Innovation Contest winners, scheduled for June 20-22 at ASCE Headquarters in Reston, VA.
ASCE’s Industry Leaders Council developed the Innovation Contest as part of the ASCE Grand Challenge to significantly enhance the life-cycle performance of infrastructure by 2025. 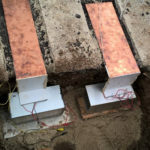 The initial ASCE Innovation Contest, last year, drew entries from around the world, with 15 winners in four categories honored at four separate events in Reston, Newark, NJ, Philadelphia, and Los Angeles. As the four Innovation Contest events played out last summer, Buckwalter and the other members of the ILC noticed something consistent at each site – the winners loved meeting each other and comparing notes. This year’s celebration event will bring every winner together from all five categories to share their ideas with each other, industry leaders, and, of course, those aforementioned sharks. “This year we’re trying to build on that success, where we bring even more people together for a longer period of time,” Buckwalter said. “We retain the good parts of what we had, while also massively increasing the networking opportunities and exposure to a lot more people. The 2017 contest has five categories – innovative business models and technologies, the internet of things, sustainable engineering, resilience, and next-generation transportation. Entrants can be students, educators, practitioners, project managers – anyone with an innovative civil engineering solution. The judges will award extra points for any concept that addresses the problem of lead in drinking water. The contest deadline is March 1. Learn more about the ASCE Innovation Contest, or start your submittal today. Email innovationcontest@asce.org with any questions, or use this form to get updates. Great idea to host an event like this. I hope we have some strong solutions presented at this faux shark tank. I hope we keep this positive energy and improve our systems!